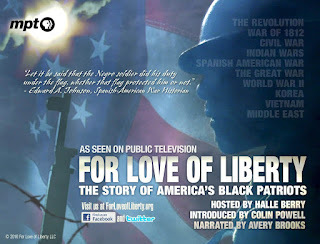 It’s hard to believe that a year has passed since PBS first aired the excellent documentary For Love of Liberty: The Story of America’s Black Patriots. This 4-hour film is introduced by Colin Powell, hosted on-camera by Halle Berry and features a cast that includes Morgan Freeman, Bill Cosby, John Travolta, Robert Duvall, Danny Glover, Sam Elliot, Cliff Robertson, Mel Gibson, and many others. 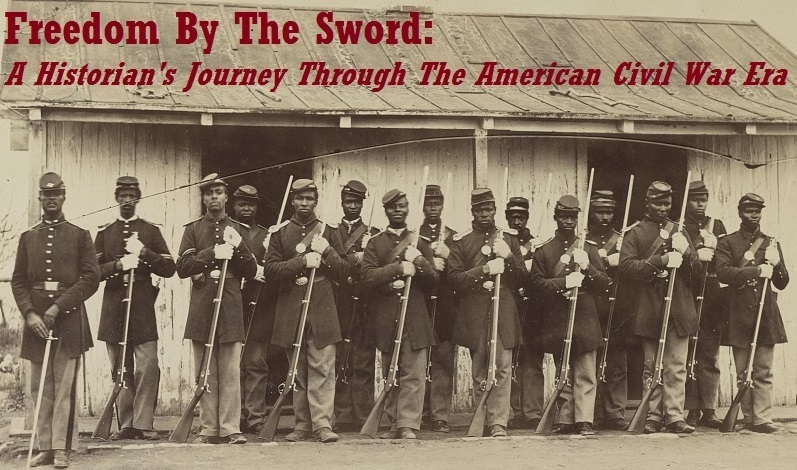 These actors lend their voices to letters, diaries, speeches and military records that document and acknowledge the sacrifices and accomplishments of African-American service men and women since the earliest days of the republic. The story spans the Revolution to Afghanistan and examines why, despite enormous injustice, these heroic men and women fought so valiantly for freedoms they themselves did not enjoy. 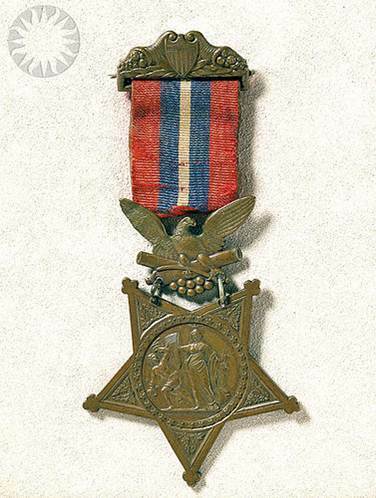 Of particular interest to the readers of this blog is the 35-minute documentary that accompanies the three-disc educator edition entitled For Love of Liberty: Stories of Black Patriots in the Civil War. 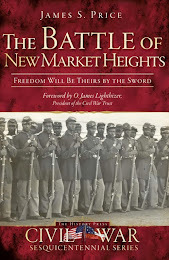 This overview of the Civil War era begins in 1861, with the appeal of the free blacks of Boston to serve in the military and goes on to cover the entire war, concluding with the 22 African Americans who served in congress after the war. 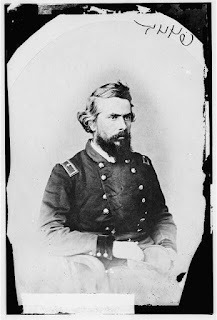 Told mainly in the words of the USCTs themselves, the film highlights everything from the story of the Louisiana Native Guard, Battery Wagner, Olustee, Fort Pillow, the Crater, New Market Heights (of course), and the fall of Richmond. If you plan on using this in the classroom, a facilitator’s guide is included as well. If you’d like to check out the film before ordering, check with your local PBS station since they are current re-airing it in honor of Black History Month. For more information on ordering, click here. The defeat at Olustee ended the Union’s effort to organize a loyal Florida government in time for the 1864 election. Jacksonville would remain in Union hands until the end of the war, although the cost for such a gain was incredibly steep. 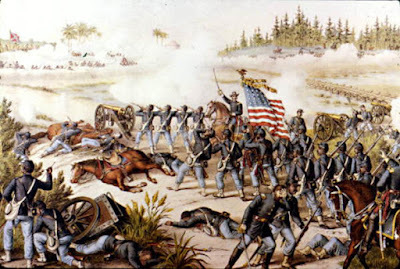 Still, the positive long-term gains achieved after Olustee can be attributed in large part to the African American soldiers who fought and bled there 147 years ago today.